FLAVOR TO GO. Red Coal BBQ (1907 Brackett Ave., Eau Claire) offers a menu of pork belly, pulled pork, pulled chicken, brats, and more – and sandwiches of all kinds made from any of their smoked meats. 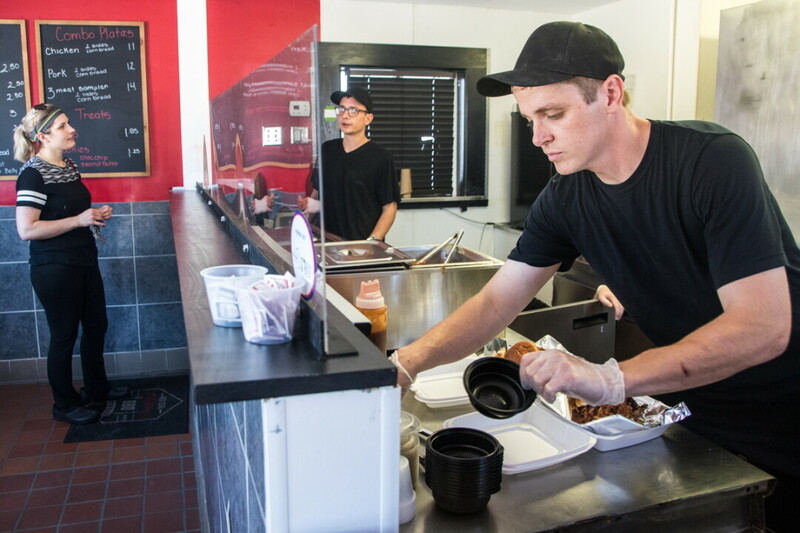 Red Coal BBQ, a new barbecue hotspot, has opened at 1907 Brackett Ave., in Eau Claire, Wisconsin (formerly the site of Samboney’s and Al’s Dog Haus). Owner Jon Ray described Red Coal BBQ as a locally owned place offering locally produced food made in small batches, with a passion for quality and flavor, not quantity. 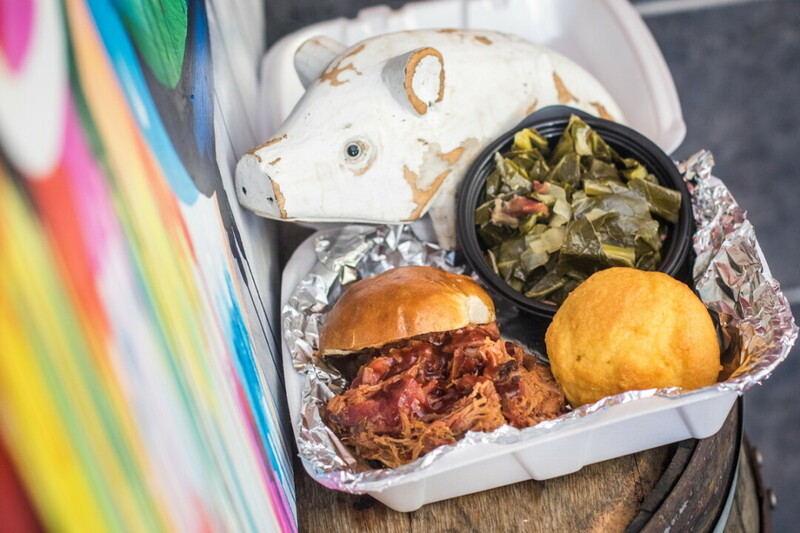 Red Coal BBQ offers a simple menu of smoked meats, including pork belly, pulled pork, pulled chicken, brats, and sandwiches of all kinds made from any of the smoked meats. Plus, there’s always delectable sides such as macaroni and cheese, baked beans, potato salad, corn bread, and cookies for dessert. “The flavors are simple yet impossible to ignore,” Ray said. He said the most popular items on the menu are the pork belly sandwich and the three-meat sampler, which comes with two sides and a corn bread muffin. He said he likes the pulled pork sandwich on a pretzel roll, the pretzel roll being an offering that sets the restaurant apart from other barbecue places. The pretzel rolls complement the barbecue flavor well, he said. Ray said he hopes to keep things “simple and honest” and let the product speak for itself, but he does plan on expanding to offer delivery service by the end of summer or early fall. “Lots of people tell us this location is doomed to fail due to past restaurant attempts falling short here. But it is a high visibility location on Brackett Avenue. So far things have been going well for us in terms of location,” he said. Ray also noted the community support of the restaurant has been tremendous and that he is very grateful for that.